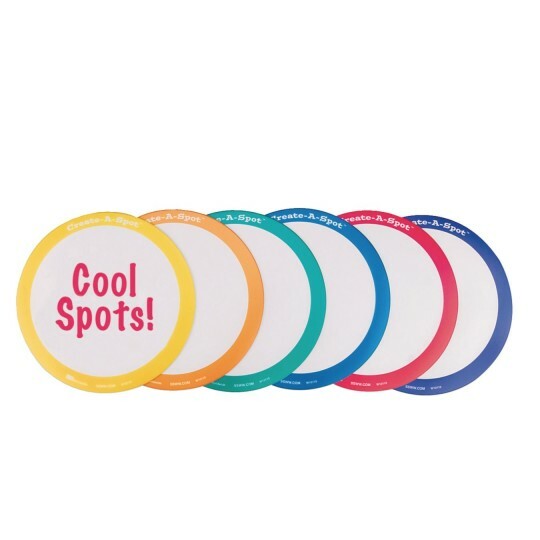 Customize our innovative 10"-diameter spot markers for any game, sport, station or activity! Create-A-Spots have a foam backing bonded to a PVC top surface that's compatible with most write-on, wipe-off markers, sold separately. I got the spots to use in dance classes. The first time using them... two of them split apart. By the sixth time using them all of them had split apart. Dry-erase markers didn't wipe off either. It's a shame because the idea is great!